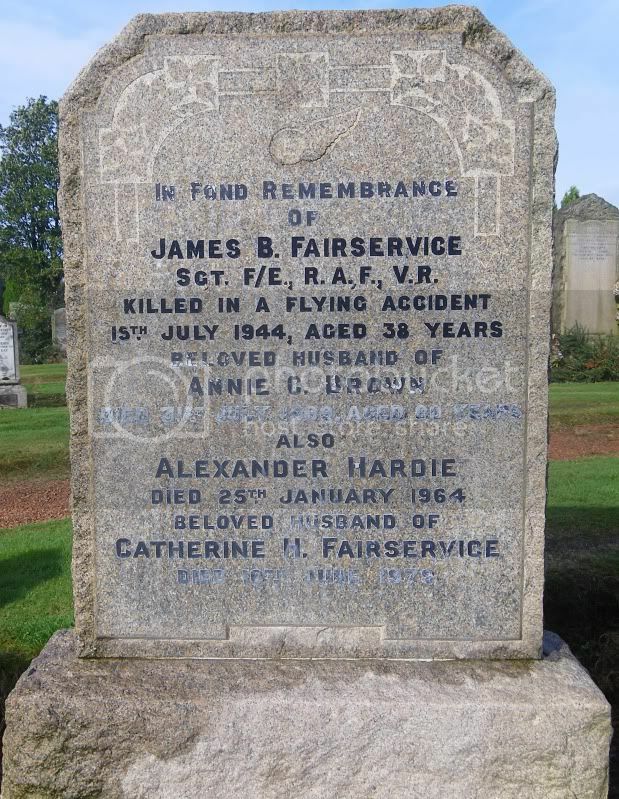 Additional information:	Son of William Hastie Fairservice and Euphemia Brown Fairservice; husband of Annie C. S. Fairservice (nee Brown), of Hamilton. Grave/Memorial Reference:	Sec. A. Grave 870. 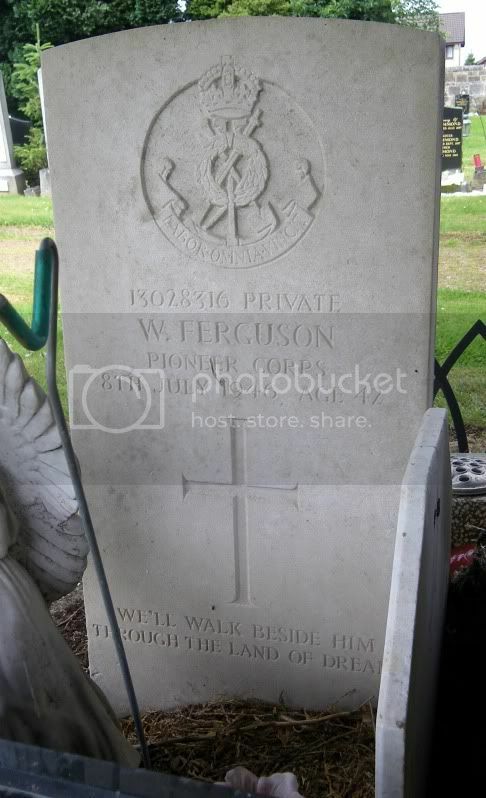 Additional information:	Son of James and Marion McRoberts Ferguson; husband of Jean Scott Kerr Ferguson, of Hamilton. Grave/Memorial Reference:	Sec. L. Grave 360. 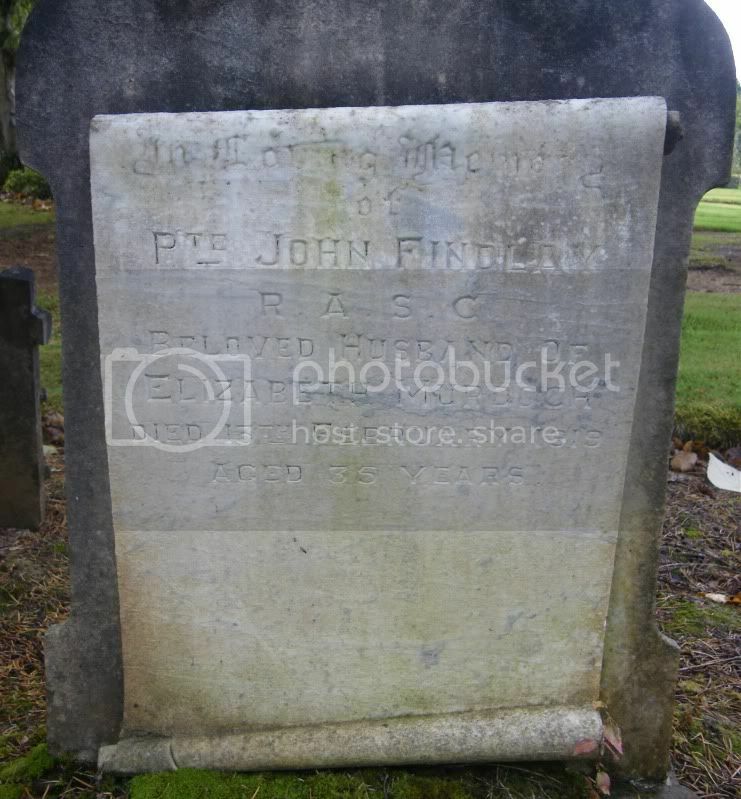 Additional information:	Husband of Elizabeth Murdoch Findlay, of Rosebank, Clydesdale St., Hamilton. Unit Text:	211th Siege Bty. 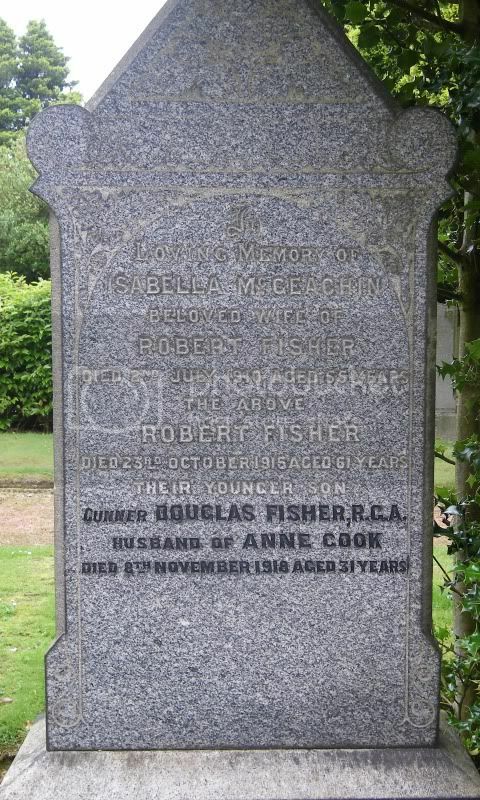 Additional information:	Son of the late Robert and Isabella Fisher; husband of Ann Wilson Cook Archibald (formerly Fisher), of 13, Guthrie St., Hamilton. 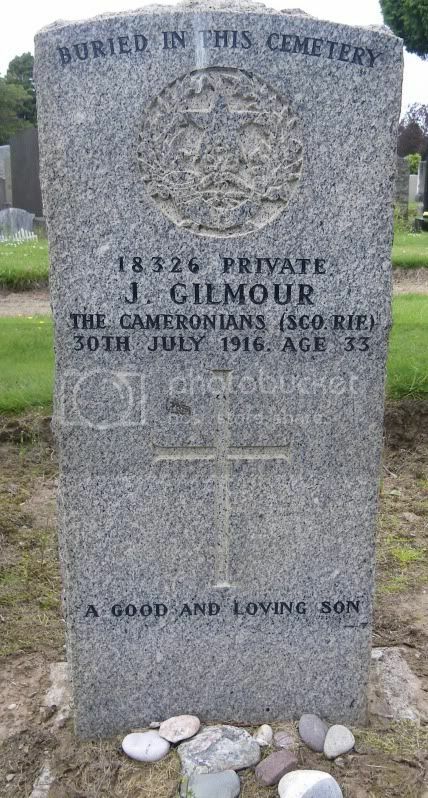 Additional information:	Son of John and Mary Jane Stewart Gilmour, of 36, Udston Rows, Hamilton. 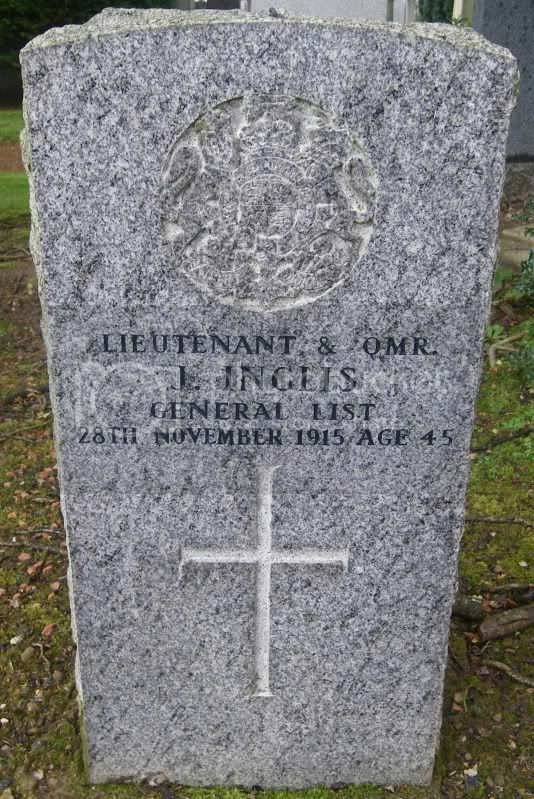 Additional information:	Husband of Helen Inglis, of 38, Queens Drive, Larbert, Stirlingshire. 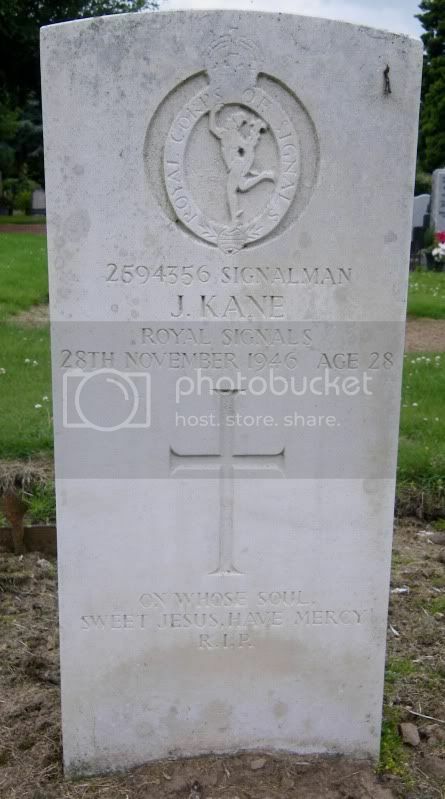 Additional information:	Son of John Kane and of Catherine Kane (nee Gormley), of Whitehill, Hamilton. Grave/Memorial Reference:	Sec. 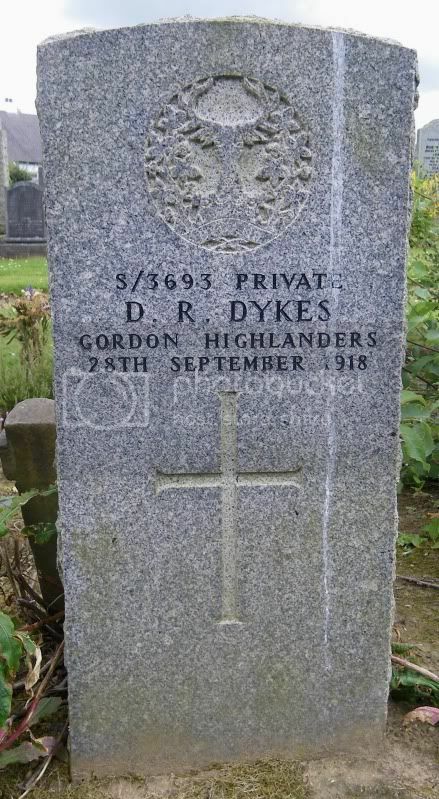 H. Grave 222. 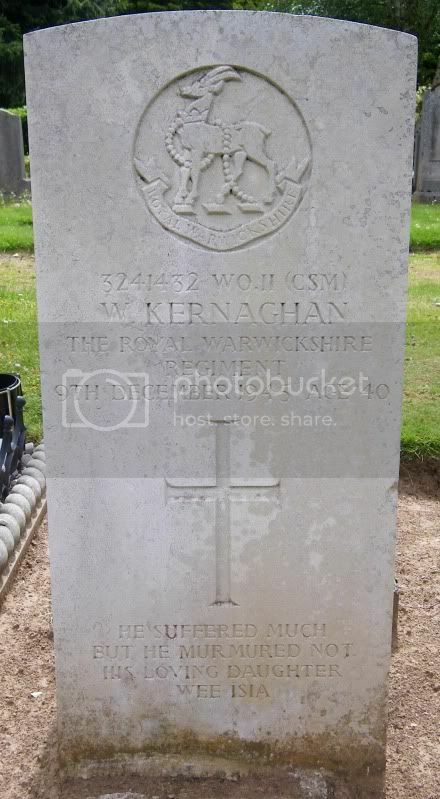 Additional information:	Son of David and Catherine Kernaghan; husband of Margaret Hamilton Kernaghan, of New Mills, Fife. Grave/Memorial Reference:	Sec. L. Grave 419. 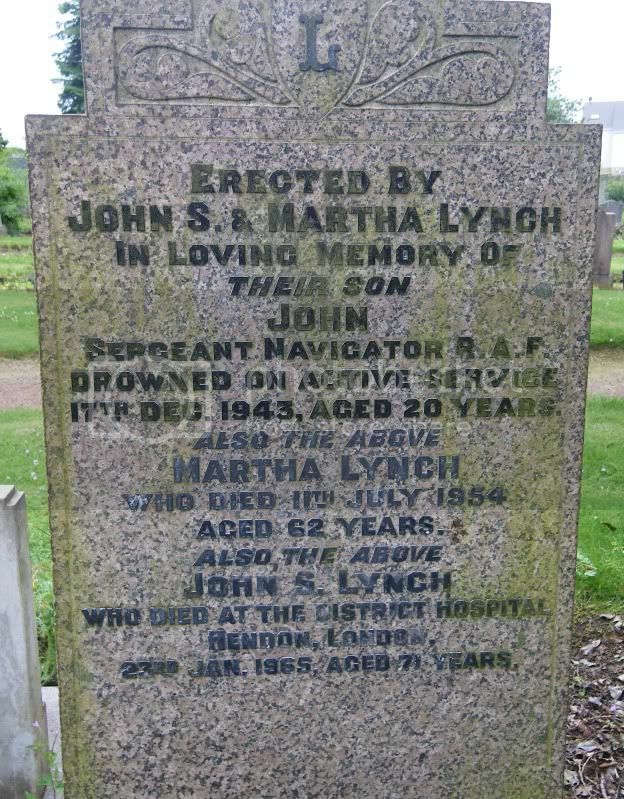 Additional information:	Son of John Stevenson Lynch and Martha Lynch, of Hamilton. Grave/Memorial Reference:	Sec. F. Grave 481. 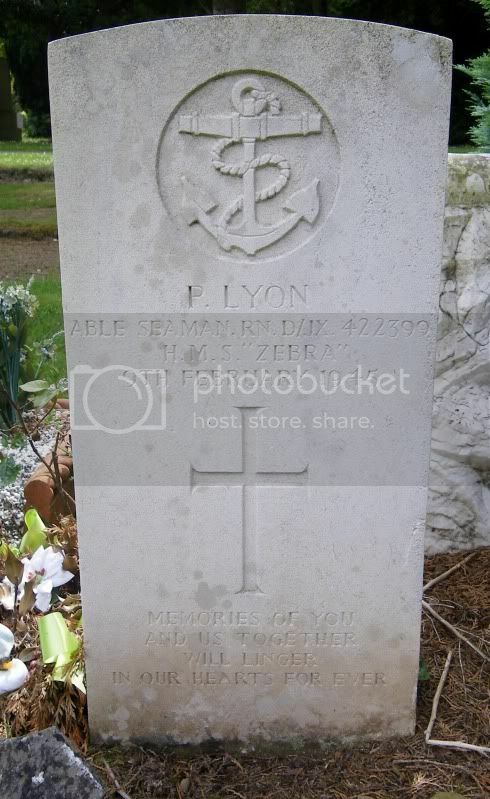 Additional information:	Son of Elizabeth Sullivan, of Hamilton. Grave/Memorial Reference:	Sec. L. Grave 139. 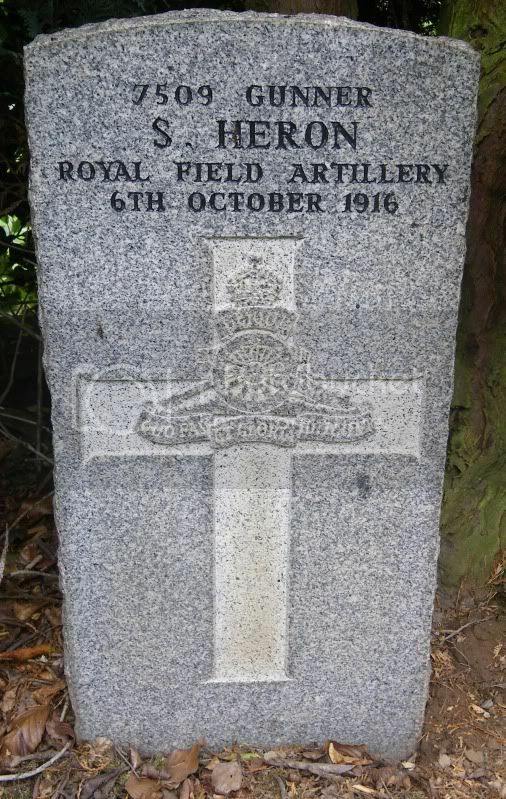 Unit Text:	160 Bty., 54 Lt. A.A. Regt. 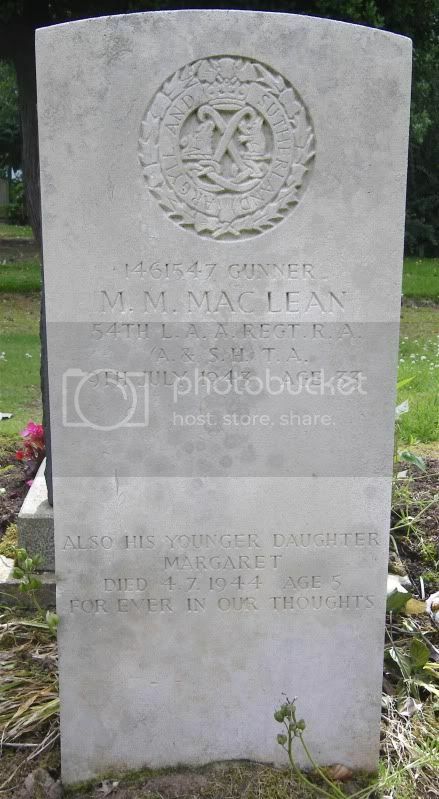 Additional information:	Son of Archibald Turner MacLean and Margaret MacLean; husband of Annie MacLean. Grave/Memorial Reference:	Sec. H. Grave 496. 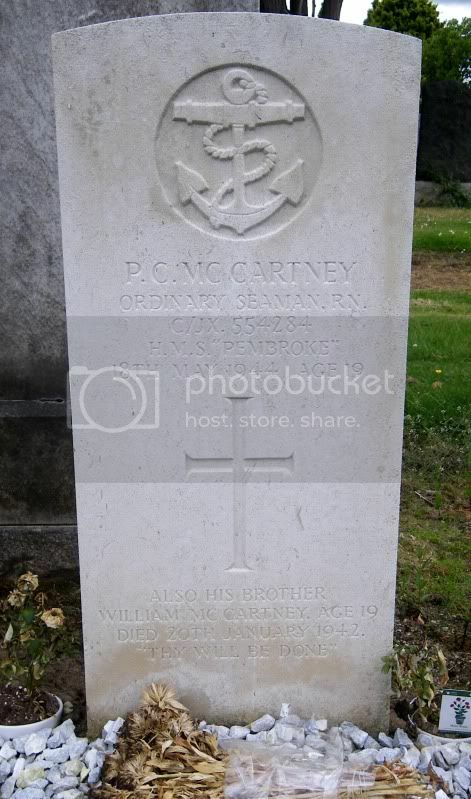 Additional information:	Son of Adam and Isobella McCartney, of Burnbank, Hamilton. Grave/Memorial Reference:	Sec. C. Grave 14. 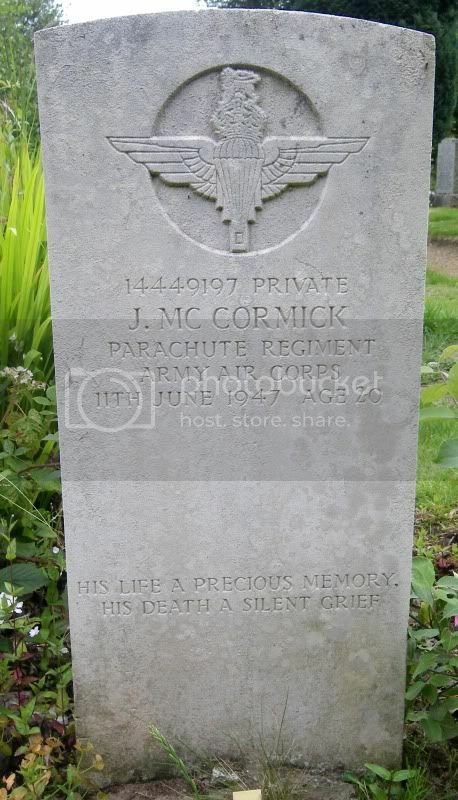 Regiment/Service:	The Parachute Regiment, A.A.C. Additional information:	Son of Robert and Margaret McCormick, of Hamilton. Grave/Memorial Reference:	Sec. H. Grave 149.